My green beans are not growing as well as previous years. I think it is due to the colder than usual weather that we have been having. Our temperatures have been dipping into the 50’s or lower overnight and for the month of May we barely hit 70 degrees for the highs. This is very unusual for Northern California. 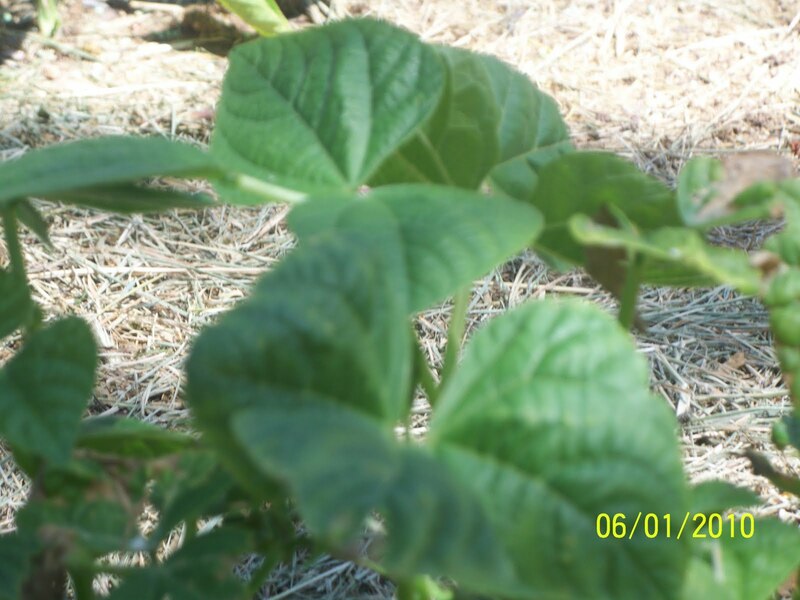 Green beans thrive on warm temperatures. Hopefully June will be warmer and they will take off. One cup of raw green beans is full of vitamins and minerals. Wash the beans, trim the ends, and cut into 2″ pieces. Arrange beans over vegetable steamer and place over boiling water. Cover and steam 5 minutes, until the green beans are tender crisp. Drain beans and set aside. I would love to grow my own veggies!! And I didn't know you were in NorCal!!!!! You may be close to me! I hope they do well for you this year. Maybe they will pick up now that the weather is warmer. Hope your green beans start flourishing. They look good in that pic. I am only doing zuchinni – mine are practically dying. And I planted some tomatoes, and cherry tomatoes this past weekend. Our family loves raw & cooked green beans. Alicia, I'm in Sacramento. Although, I'm originally from Wisconsin. We moved here a couple of years ago. My husbands family is out here. Our green beans all died last year and my husband didnt plant them this year. I was bummed. You'll have to move back to WI! It's been unseasonably warm here. Yeah, my parents said that they have been having temperatures in the 90's. I sure miss home! You're not too far! I am in the Bay Area! I love fresh green beans right out of the garden! I hope the weather cooperates soon!!! Pretty green bean plants! Hope they grow for you. It's my fav veggie. I'm not a green bean fan, but I love gardens and wish I had my own. Great photo. We love green beans! It's been unusually warm here in the Midwest. They might be small, but they look healthy! I got your comment today about GB. I am a fan.If you want to know more e-mail.